The power couple down South, Naga Chaitanya and Samantha Akkineni is all set to celebrate their one year of marriage soon. Fans have remained in awe of their cute love story and now considering that their special day is nearing, they are expecting the couple to come up with a surprise. 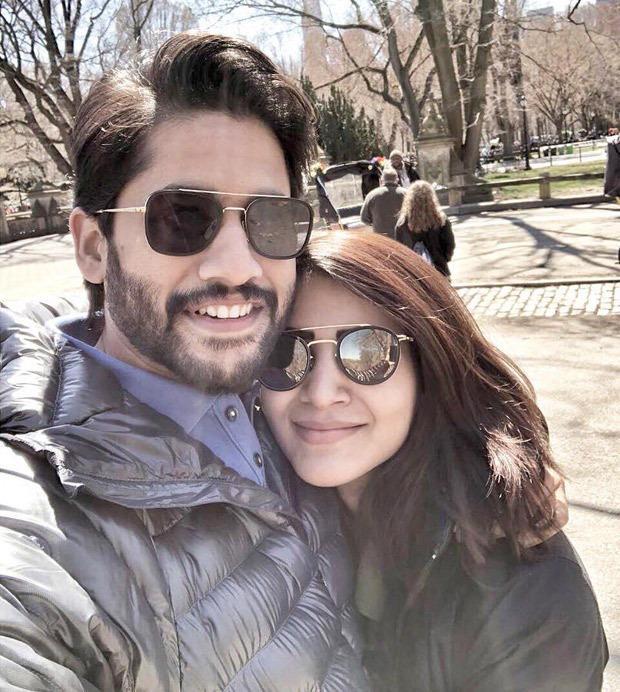 And now, Samantha Akkineni just decided to give some details about her first wedding anniversary gift for hubby Naga Chaitanya and here’s what it is about. Samantha Akkineni just made an announcement that will leave the fans of the couple thrilled! The actress revealed that she will be doing a film with her hubby Naga Chaitanya and that it is going on floor this year itself. She also added that she considers this as a wedding present because it is going on floor on October 6. Readers would be aware that Samantha Ruth Prabhu tied the knot with her actor-friend Naga Chaitanya on October 6, 2017 in a Hindu style ceremony. Followed by that, on October 7, the couple also had a Christian ceremony. The couple tied the knot in Goa along with their parents’ blessings and many from the South fraternity had arrived at the destination to give their best wishes and blessings to the two actors. Coming to the film, the untitled film will be directed by Shiva Nirvana. It is his second directorial after the Nani starrer Ninnu Kori. On the other hand, Samantha Ruth Prabhu and Naga Chaitanya will be paired opposite each other in a film after four years and it will also be their fourth collaboration after Ye Maaya Chesave, Autonagar Surya and Manam. According to reports, although the two met on the sets of Ye Maaya Chesave way back in 2009, the two of them started dating only in 2014 and tied the knot three years later in 2017.